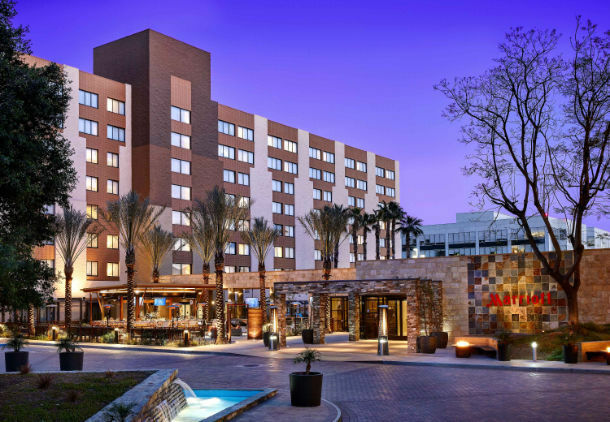 The 2014 JACC State Convention will be held at the Burbank Marriott in Burbank, Calif. beginning Thursday, April 3 and running through Saturday, April 5, 2014. Registration is available only to MEMBER schools. Individuals CANNOT register; all registrations are by delegation. The cost of registration, which does NOT include lodging, is $225 per delegate (instructor or student) for those staying at the hotel. The cost for commuters is $275 per delegate. See our commuter calculation chart to determine how many regular registrants you are allocated based on the number of rooms and number of nights you will be at the hotel. Regular registrations must be received by March 20, 2014. Late reservations will include a $50 per delegate late fee. Commuter rates are higher because much of the meeting space costs are determined by how many hotel room nights are sold by the organization. Download the commuter chart (PDF). REGISTRATIONS MUST INCLUDE A TWITTER ACCOUNT FOR EACH DELEGATE. Do NOT contact the Marriott reservation system. The deadline to make hotel reservations is March 3, 2014. Rates are $125 (plus tax) per night for singles or doubles rooms. 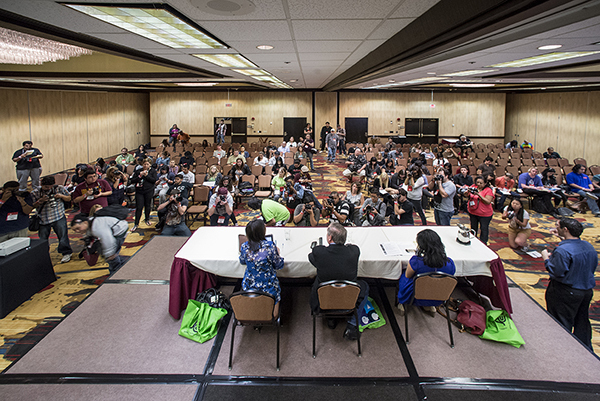 The convention will include a full array of on-the-spot contests (see our list of contests for details), workshops, tours and critiques. The convention concludes Saturday night with an awards banquet. Each school must send at least one student delegate to the state student meeting; one faculty delegate to the state faculty meeting and one student delegate and one faculty delegate to the general assembly meeting. Questions? Contact JACC Events Director Timi Poeppelman at poeppelman [at] gmail [dot] com. Posted in 2014 Convention, State Convention, Uncategorized.